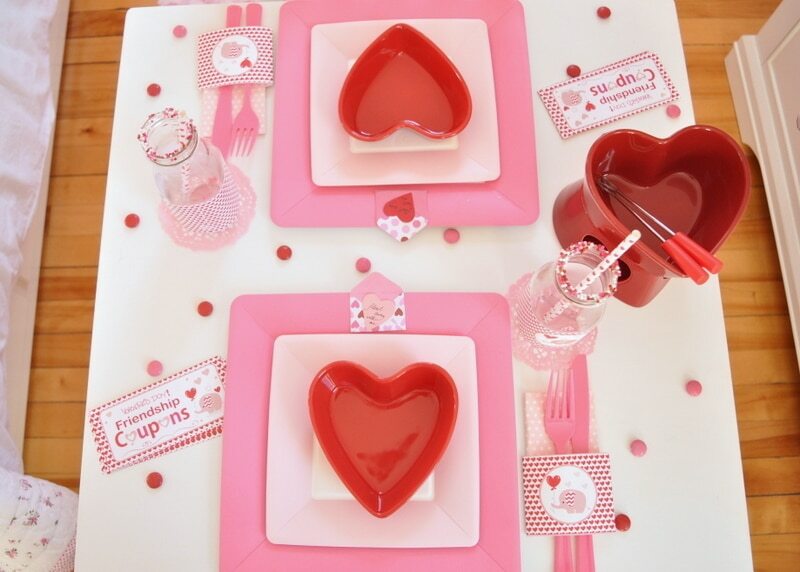 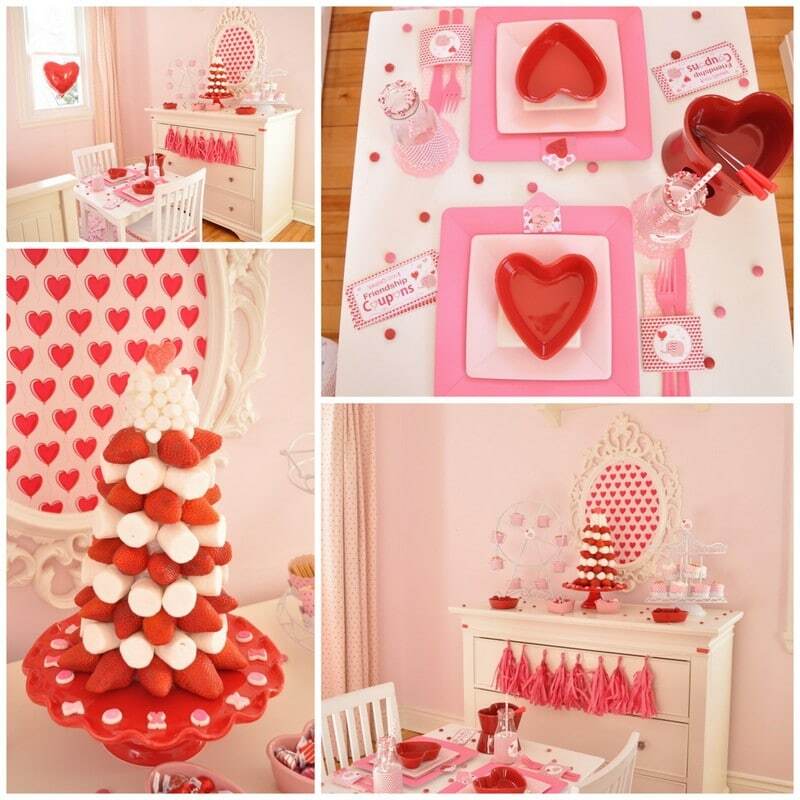 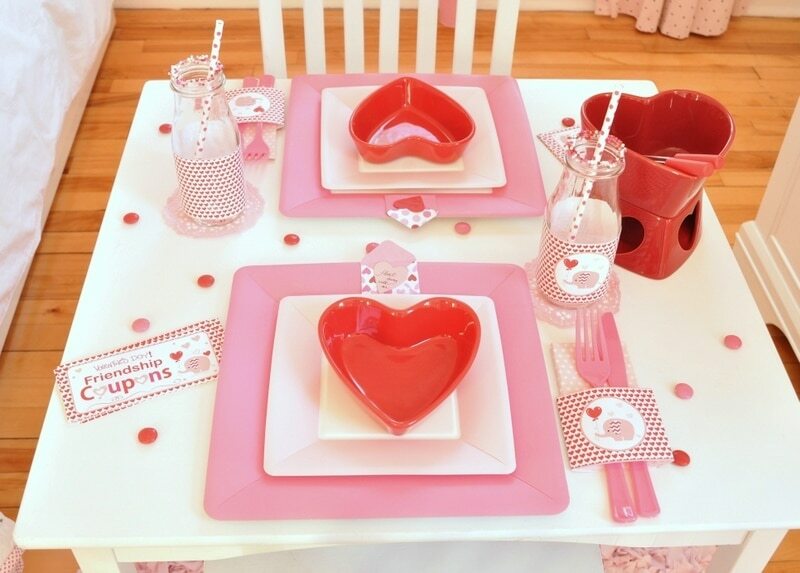 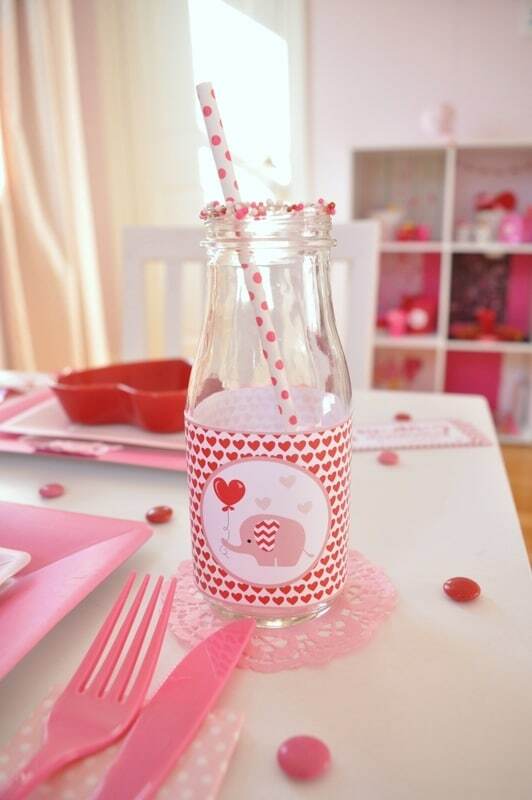 We are almost on Valentines day and Tanja from Enchanted Parties Montreal invited me to collaborate with her in an amazing Valentine’s day party for her daughter and son, the idea was to create a party for them, so they could create beautiful decorations for Valentine’s day. 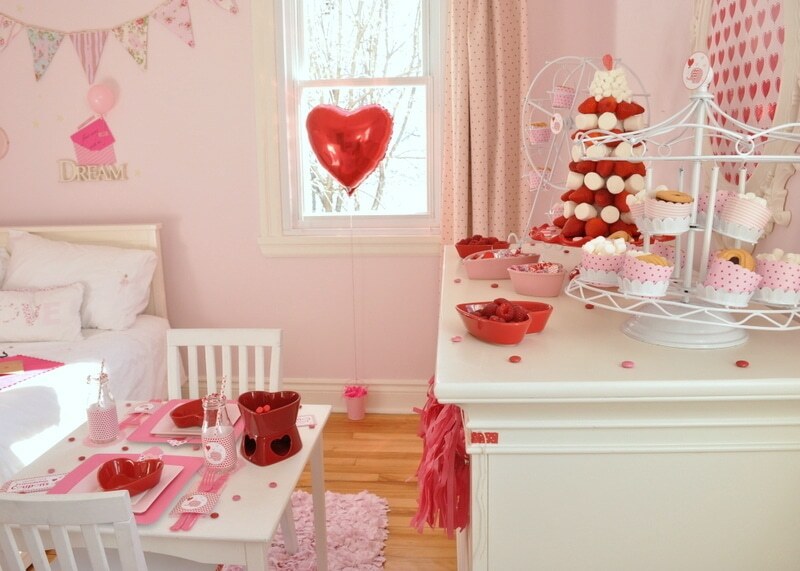 They hosted the party at their lovely bedroom in Montreal. 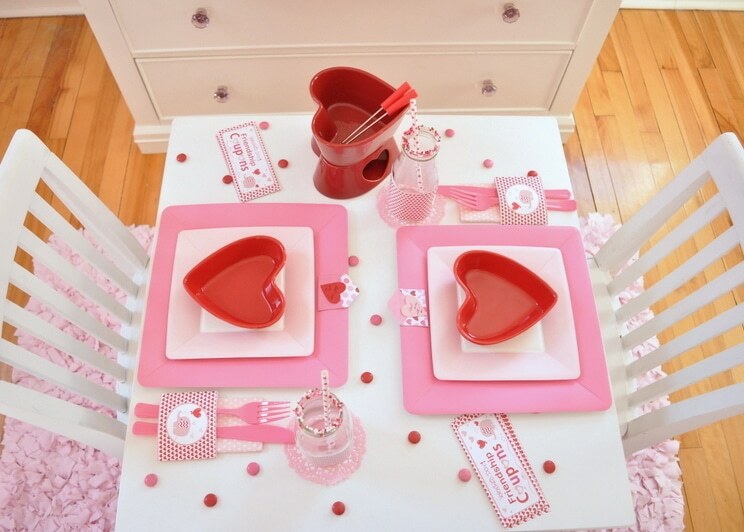 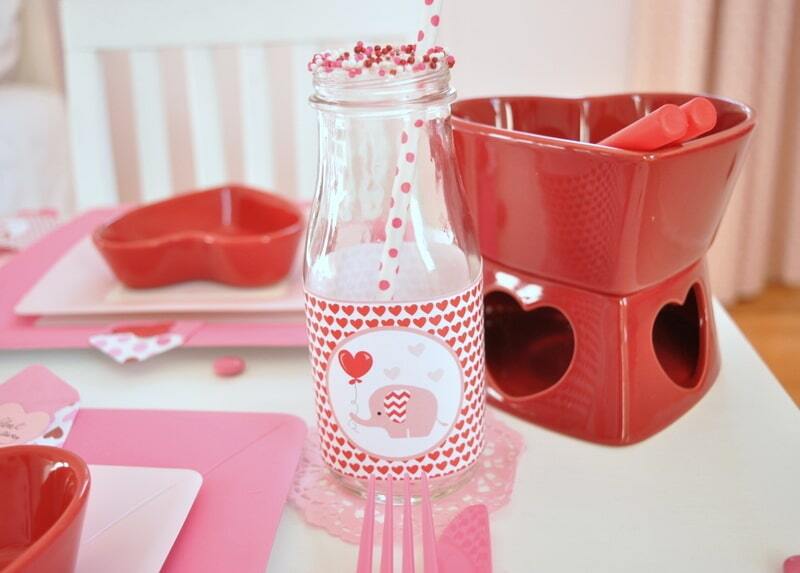 The kids had heart shaped cookies, cupcakes, chocolate fondue and crafts supplies and papers. 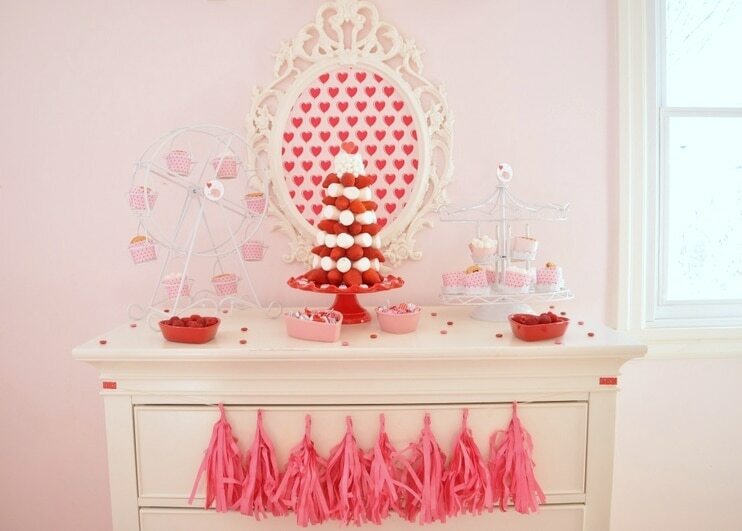 The party was celebrated on a cold winter afternoon, but the color was given to the heart-shaped balloons and Elephant decorations. 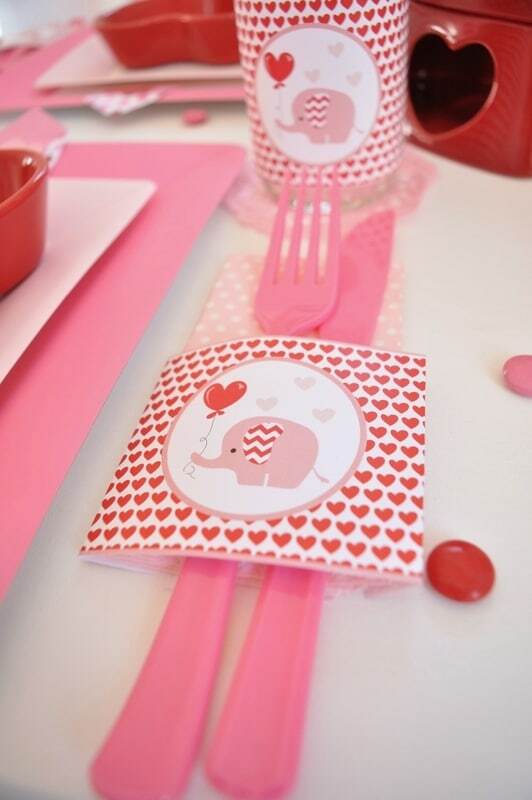 Kids love making crafts and valentines is a celebration that is the perfect excuse to make friendship cards for their school friends. 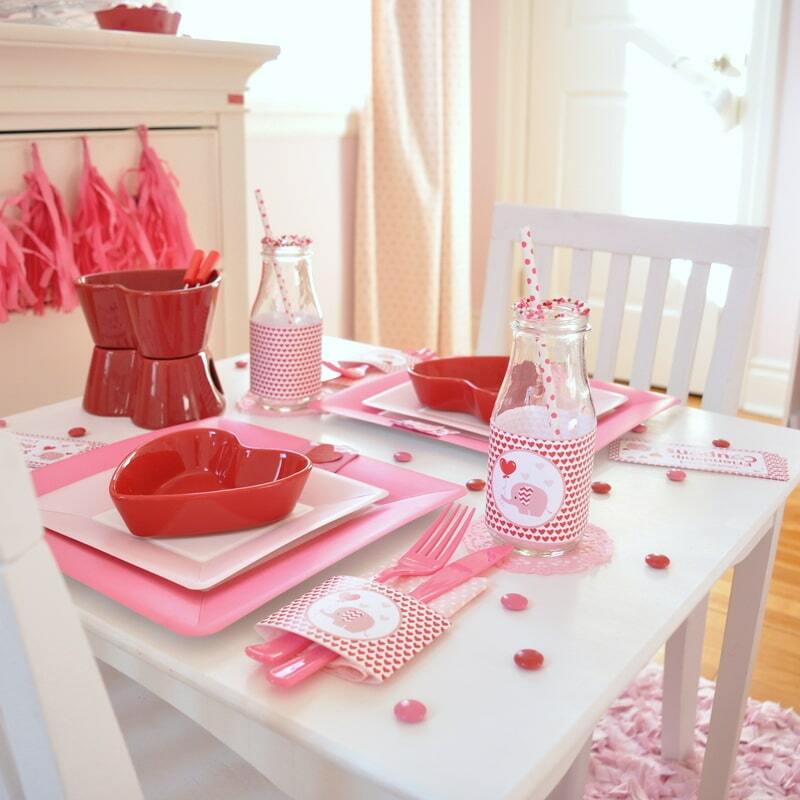 Tanja’s color palette was light pink, dark pink and red. 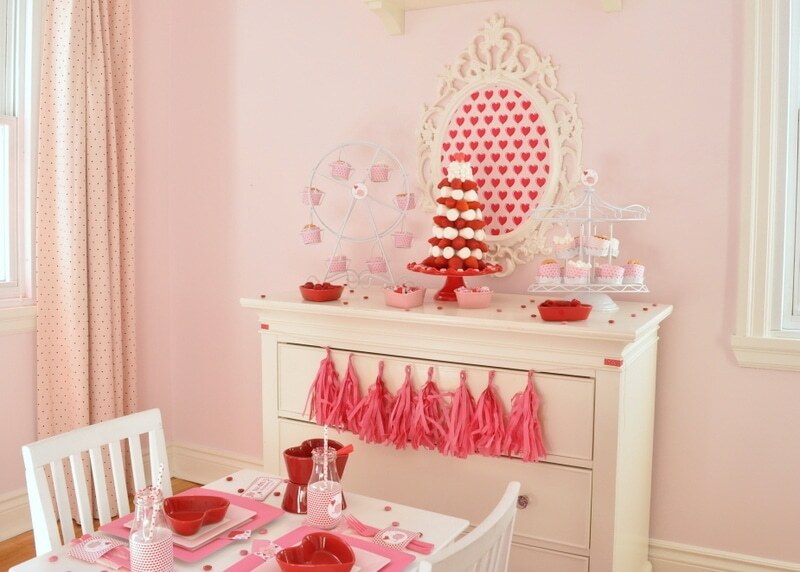 She was inspired for this party in a beautiful wrapping paper with floating balloons in light pink, dark pink and red. 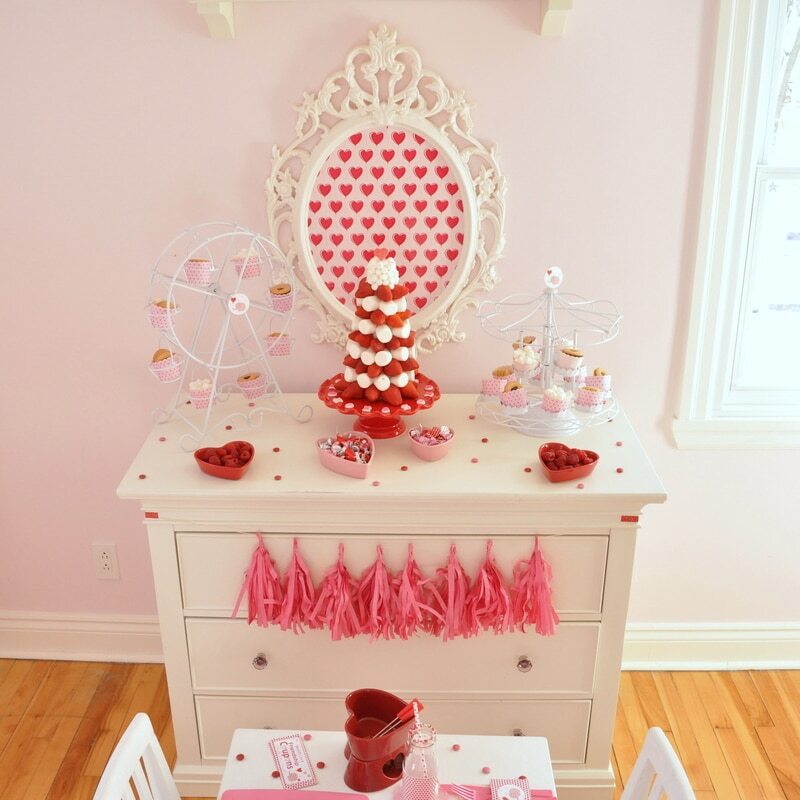 She asked me to create for her elements that match her decorations. 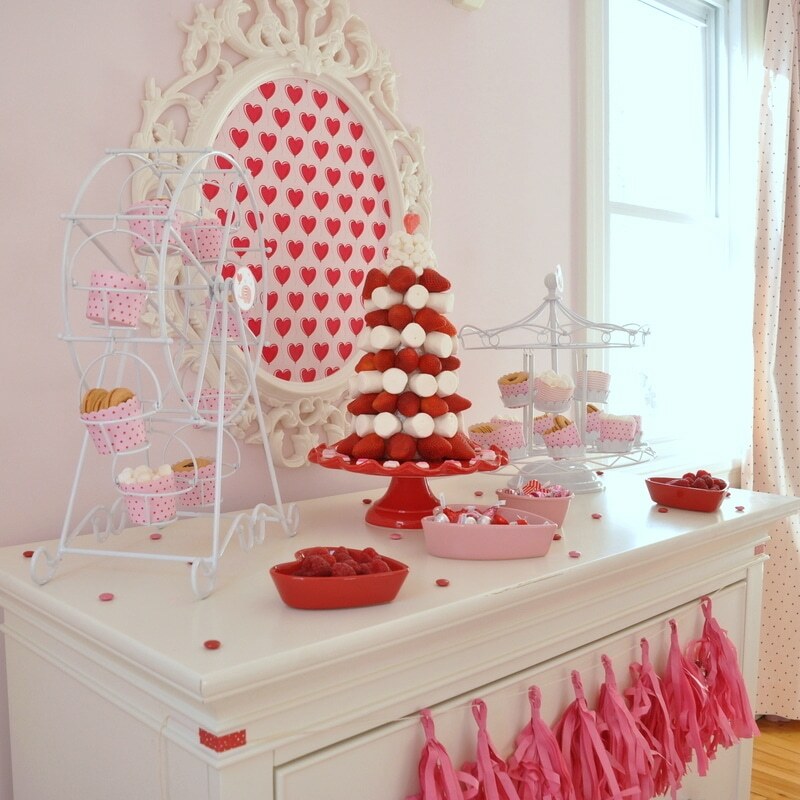 I decided to use my signature elephant with a balloon in the shape of a heart and here are the incredible pictures that Tanja took from her daughter room. 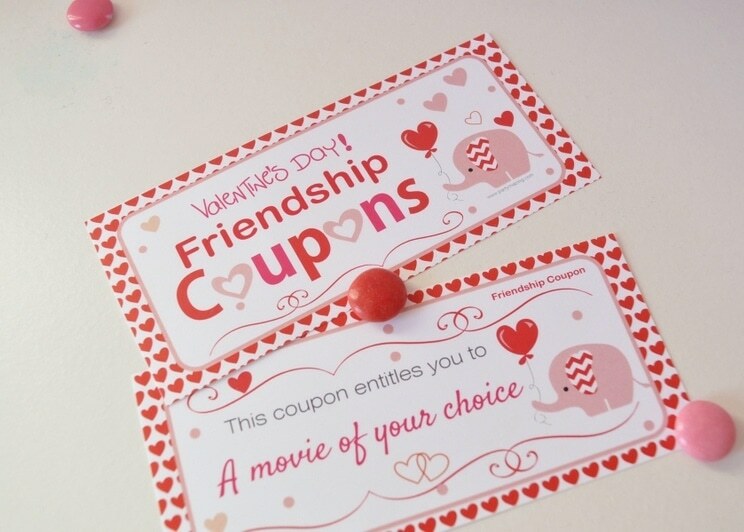 In addition to creating labels for milk bottles and some paper decorations, I created a set of friendship coupons, the perfect gift for the little ones. 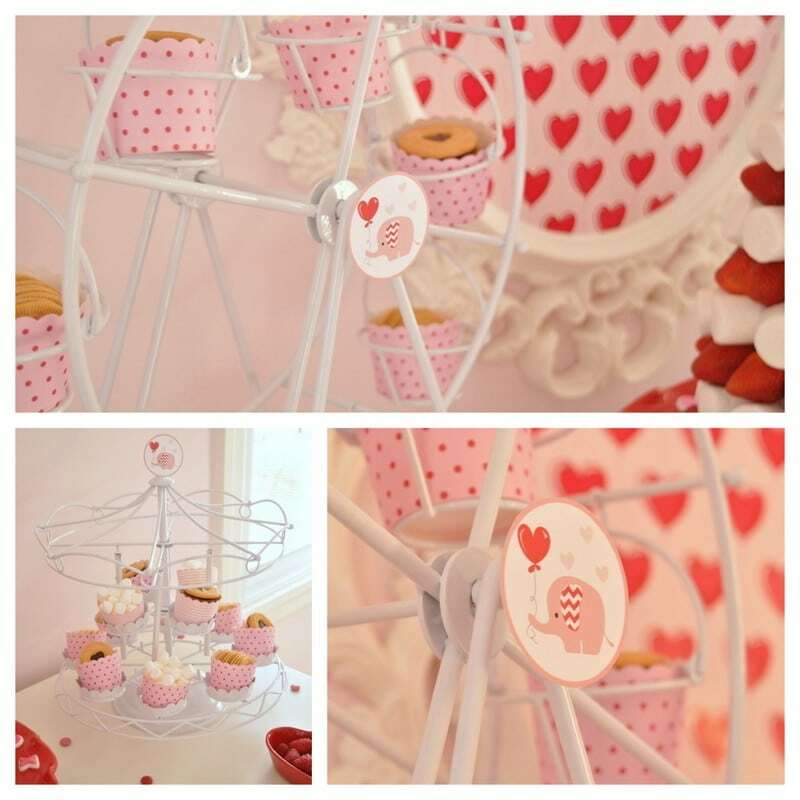 It was an honor to work with someone as talented as Tanja, she specializes in creating Whimsical party decorations. 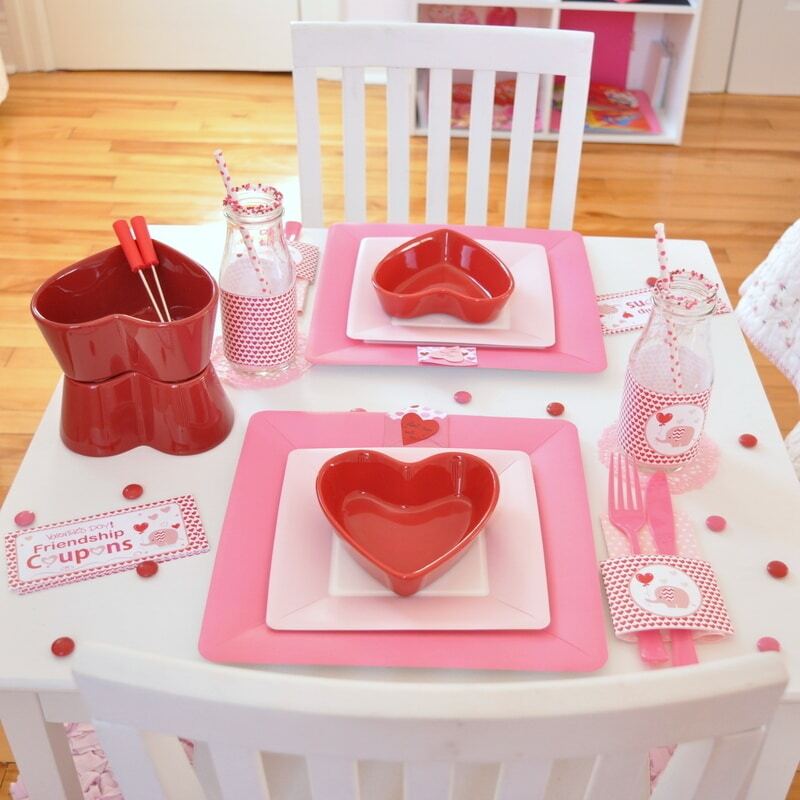 You can see more of Tanja’s work on her WEBSITE or Instagram. 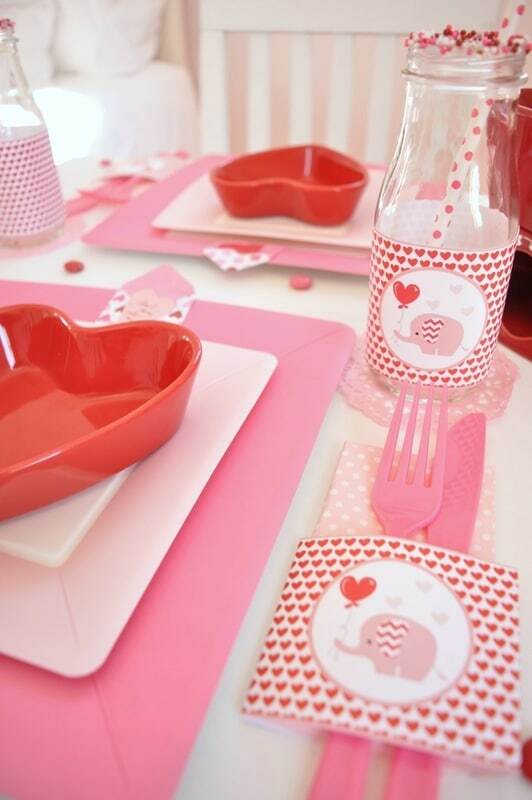 If you want to create your own Valentine’s Day Card Making Party just download the files and print them on cardstock.